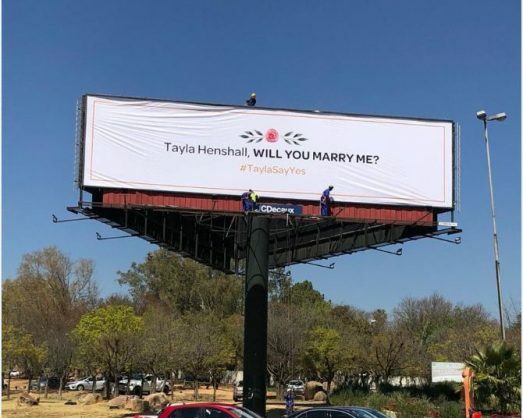 The sign reading: ‘Tayla Henshall, will you marry me?’ on Sandton Drive has had Twitter abuzz since Tuesday. A billboard on the corner of William Nicol Road and Sandton Drive has warmed the hearts of those who pass by the intersection on their morning commute. The billboard says, “Tayla Henshall, will you marry me?” with #TaylaSayYes underneath it. The billboard has many Twitter users questioning whether the billboard was a publicity stunt or whether it was, in fact, a genuine proposal, Sandton Chronicle reported. Many users were also dying to find out whether or not Henshall has agreed to the proposal. 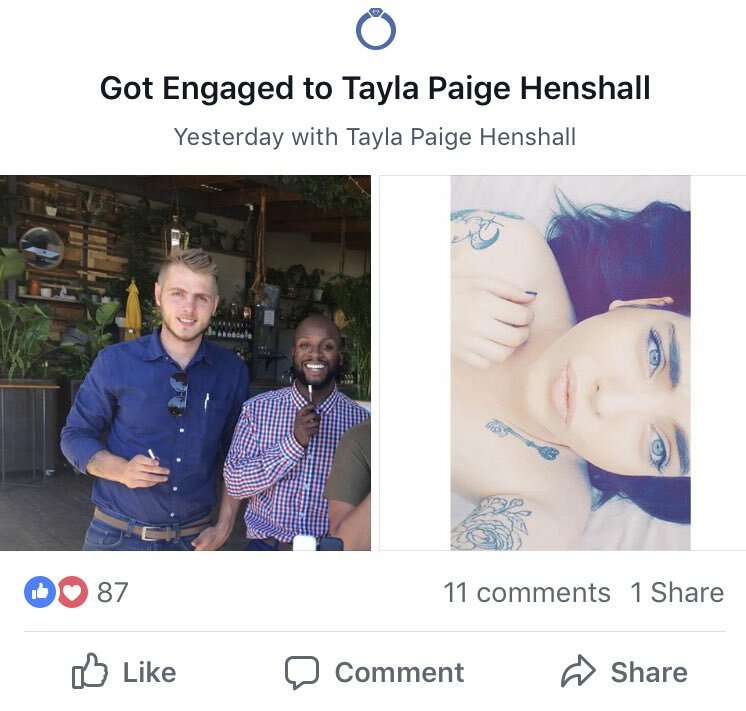 According to Henshall’s Facebook page, she said yes.